This post is my third post about AWS Lambda. (You can check my previous posts about AWS Lambda here) This time, I think I should talk more about my user experiences through my whole journey of using AWS Lambda to build a image resizing Microservice. When I develop a Lambda function on local, I can just use these docker images to create containers that are almost identical to the production environments, and use them to test my function. Amazon also provided a Makefile to build a lambda function zip file, and we can deploy this zip file via aws-cli easily. docker build --tag amazonlinux:nodejs . CloudFormation is like docker-compose for AWS services, it can setup AWS services like S3, API Gateway, etc. based on a YAML template file. For this image resizing lambda function's CloudFormation template, you can check it here. Amazon also provided builtin monitoring and logging support for Lambda. 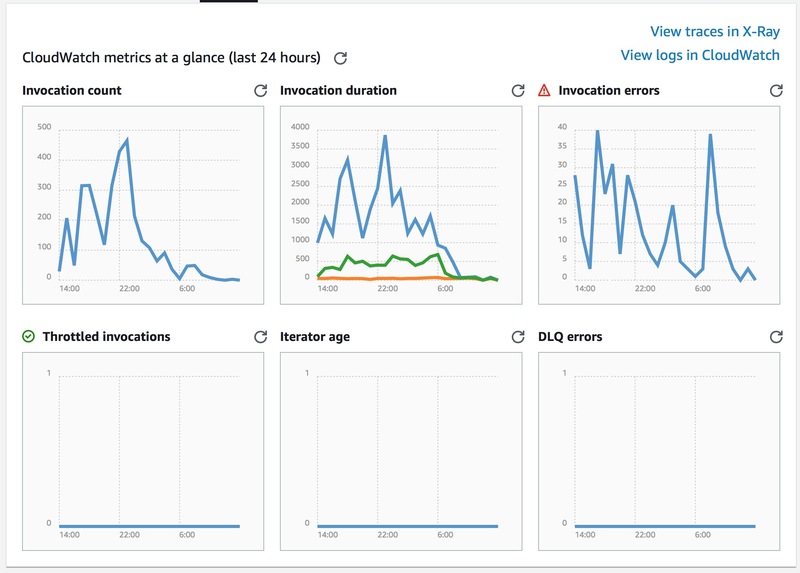 We can even go to the CloudWatch console for this Lambda function to see the logs. All the actions mentioned in this post, can all be done via AWS's web user interface or through AWS's command line tool aws-cli. This gives developers enough choices to choose the one that suits them the best. So, what's the ideal Microservice development experience? The service codebase should be small enough.